Gayles Memorial Baptist Church in Aurora, Illinois, is a Bible-believing and -preaching church that is family oriented and dedicated to individual and collective spiritual development. Pastor George Marshall has faithfully led the Church since 1981. 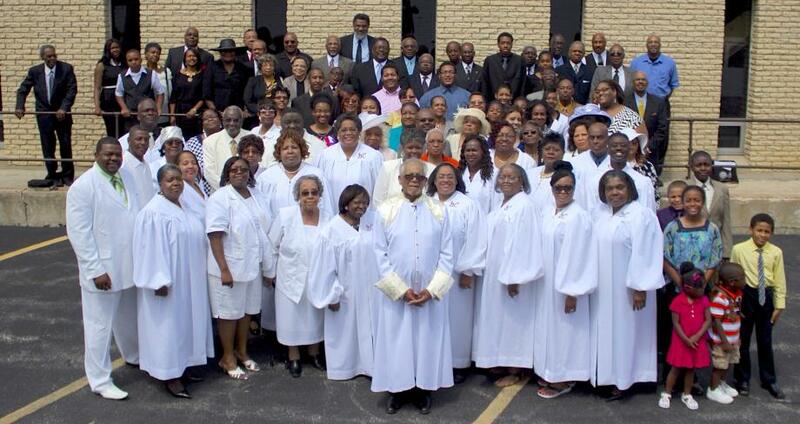 GMBC was founded in 1950 as a church for Black Baptists on the west side of Aurora. The congregation has grown from a few members then to more than 250 members, nearly 30 ministries, 9 deacons, and 10 associate ministers today. We truly believe that “Heaven is Our Goal” and seek to help our members develop and progress toward that reward. Thank you for visiting our website and supporting this ministry. To worship and serve God and to fulfill the Great Commission of Jesus Christ, as set forth in Matthew 18:19-20. To minister to the needs of the members and others as this church is able to do so. To do any and all things related to and in connection with carrying out the above objectives and purposes. We accept the Holy Bible as the inspired Word of God, without any error, the all-sufficient authority in matters of faith, doctrine, and Christian living. We recognize that the New Testament is the infallible guide of faith and practice for the Church. We adopt the New Hampshire Declaration of Faith with pre-millennial revision as a declaration of the principal tenets of our belief.